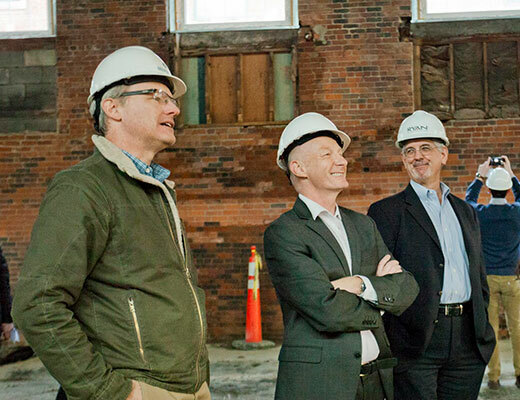 The building materials company will become a Founding Sponsor of Greentown Labs’ new Global Center for Cleantech Innovation. Center, and even components that allow the Mars rover Curiosity to seek out life on another planet, Saint-Gobain has been a part of the fabric of human history, advancement and improvement. Greentown Labs is a community of bold, passionate entrepreneurs creating game-changing energy technologies that transform the way we live, work and play. Located in Somerville, Mass., Greentown Labs is the largest cleantech incubator in the United States, operating a 33,000-square-foot facility that enables entrepreneurs to solve today’s biggest energy and environmental problems. Greentown Labs hosts a constant stream of events and programs for the cleantech community and tours more than 10,000 visitors from around the world each year. Its mission is to enable a vibrant community of entrepreneurs to realize their visions by providing access to the resources, labs and funding they need to thrive. For more information, visit www.greentownlabs.com or find us on Twitter, Facebook or LinkedIn.